What are the Radio PR Services We Offer? Radio PR is one of the most successful ways to ensure coverage that will communicate your brand and messages credibly and efficiently. We can provide consultancy, radio copy, interviews, samples, features and prize giveaways. 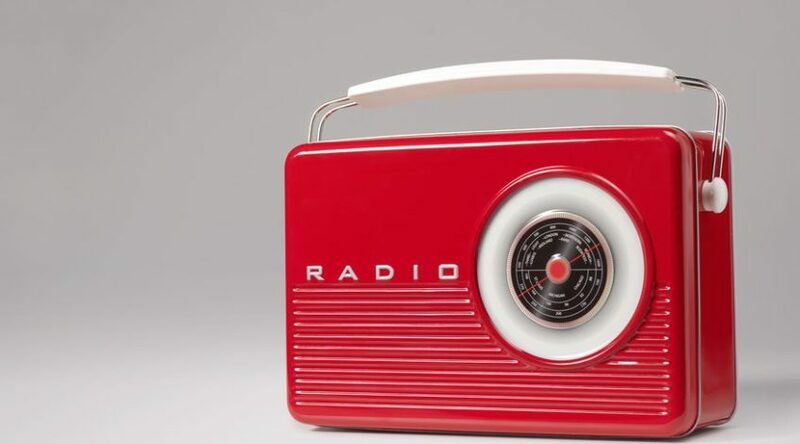 ​What are the Key Benefits of Radio PR? ​Since 90% of the population listen to radio every week for more than 20 hours, it’s safe to say that radio is still one of the most significant mass medias in the UK. Radio stations need interesting stories, features and competitions, all of which we can provide through your brand. Our company 1st Adtube can help you communicate your message to millions of people by utilising our expertise, relationships and creativity to ensure that an interesting story delivers your message to your audience. The goal of 1st Adtube is to communicate the right message to the right audience at the right time. ​It was Al Ries and Jack Trout that coined the term positioning which has since become common parlance in the world of PR and Marketing. But what does it really mean? Essentially it’s what your brand means to your clients and potential clients and how they react to your brand: and what they hear is that you’re on the radio in relation to a particular story because your brand is the most relevant and credible for that particular subject. It really comes down to trust. As a recent study shows, radio is one of the most trusted forms of media in the UK. The nature of how radio is consumed means that listeners build up relationships with the presenters and broadcast journalists that they listen to. By having a spokesperson on the radio discussing a particular story or by having a presenter discuss your brand on air it builds that trust. Also, the fact that radio is regulated by OfCom means that the editorial is under strict scrutiny. It’s not possible to be overtly commercial on UK radio without flouting either OfCom guidelines or BBC editorial guidelines. This is why any editorial coverage on radio gives such credibility and also requires expert help in ensuring that the coverage is the right balance of editorial justification and subtle branding. For many, this is what makes our service so attractive as it means that our clients secure the benefits discussed both above and below but at a very cost effective rate. The reason why we can offer our services at a fraction of the cost of radio advertising, promotions or sponsorship is because we have an exclusive relationship with IMN that provide lifestyle and consumer content free of charge to the UK radio industry. This enables our team to bypass the people in the radio stations that sit within the sales and promotions departments as IMN has relationships specifically with radio presenters, producers, broadcast journalists and news editors. For the exact costs of a radio PR campaign please either call 020 7158 0000 or click here. When a spokesperson is invited to speak on radio it is because they are considered credible to talk on the topic they are talking about. This means that the individual is often seen as a leader on the topic or even from within the industry. Over time, the brand itself will be seen as knowledgeable, authoritative and an expert on that industry, especially over competitors that have not been on the radio. There are some subjects that many people don’t have strong opinions or convictions about, the real problem with this is more about ignorance rather than anything else. Many of our campaigns in the areas of finance and health, for example, deal with issues of people lacking information. Education is the key to solving ignorance and what better way to educate than for an expert to explain the topic or issue. If a saver is unaware of what an ISA is, how can they open one? If someone is not aware of the symptoms of an illness, how will they know to visit a GP rather than just suffer in silence? More than ever in the age of social media, fake news and misconceptions are taken at face value as the truth. This can be incredibly damaging to a brand. Perhaps there are myths and misconceptions that the public have about your brand? We can secure you a position to inform the public, and clear your brand’s name. There are news stories breaking every minute of the day. Many of them simply end with a single article, but sometimes a big story will prompt the media to go deeper. Many stories lend themselves to analysis of trends, taking the story in a new direction. When a story breaks there is normally a window of a few hours to a few days to find a suitable brand to become a part of the picture. We can make sure that’s you.